The tail-happy Toyota GT86 did a continuous drift that lasted over 100 miles. It’s hard not to gasp in awe at the masterful car control on display by drifters. While many will argue over which car is the ultimate drifting machine, acclaimed South African motoring journalist Jesse Adams elected the tail-happy Toyota GT86 as the ideal car to set a new record for the world’s longest drift. While the record certification is still pending, Adams showed off his sideways driving skills and eventually broke the record, executing a prolonged drift that lasted a distance of 102.5 miles (165.04 kilometers). Impressively, this beat the previous record set by German driver Harald Muller by 24.376 km (15.14 miles), who completed an 89-mile (144 km) drift in the same car. The record was set on a partially wet skidpan at the Gerotek test facilities in Turkey, using a demarcated circle with inner and outer borders. For the attempt to be successful, the wheels were not allowed to stop spinning during the run, but a change of direction was allowed providing the wheels stayed in motion. Should the wheels stop, the run would be disallowed and the driver would need to restart their attempt from scratch. Adams’ record attempt took five hours and 46 minutes and completed 1,000 laps at the skid pad. It was recorded by two independent GPS-based VBOX dataloggers measuring time, distance, speed, direction of travel and altitude, while timekeepers and official witnesses kept track of lap times, lap count, spins and change of direction. Each lap averaged 18 mph, and out of the 1,000 completed laps only 48 were disallowed from the record attempt. Adams beat the prior record after 800 laps, but the determined drifter kept pushing to beat it by a significant margin. 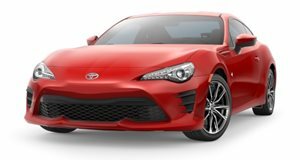 The Toyota GT86 used for the record run was entirely stock, apart from the addition of a larger fuel tank in the spare-wheel-well area. Despite torturing the tires for over five hours, Adams was still able to drive the GT86 home.